Vet Specialist Consultants provides cutting-edge internal medicine and oncology consultation for pets with complicated conditions. A board-certified specialist will provide fast, thorough consultations for dogs and cats with complex diagnoses, and develop the best treatment plan to optimize the care of your patient. We provide expert guidance to veterinarians, helping veterinary practices to grow and increase the quality of medicine offered to their clients. 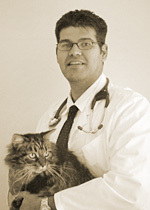 Dr. Boria is a Board Certified Veterinary Oncologist from the American College of Veterinary Internal Medicine. He received his doctorate in veterinary medicine from Tuskegee University in 1997. From 1997 to 1998, he completed a rotating internship in small animal medicine and surgery at the College of Veterinary Medicine Virginia- Maryland. 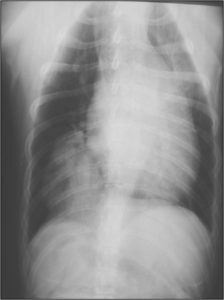 In 2001, he completed a residency in Small Animal Internal Medicine at Tufts University. In 2004, he completed residency training in veterinary oncology and received a master in veterinary clinical sciences from Purdue University. Vet Specialist Consultants is dedicated to provide, cutting-edge recommendations for pets with complicated conditions. Our goal is to help veterinary practices to grow and increase the quality of medicine offered to your clients. Vet Specialist Consultants can help with complex diagnoses and develop the best treatment plan to optimize the care of your patient. To make a consultation payment using Pay Pal, click the button below.